DVD Features: Rated: Not Rated Run Time: 1 hours, 1 minute..
On their groundbreaking debut album, the 13th Floor Elevators sometimes sounded as if they were still learning how to work with the strange beast of their own creation known as psychedelic rock. But their second set, 1967's Easter Everywhere, found them a great deal more comfortable and confident with their loose and hypnotically trippy approach. Easter Everywhere doesn't have an out-of-the-box classic cut like "You're Gonna Miss Me" or "Fire Engine" from The Psychedelic Sounds of the 13th Floor Elevators, but in many ways it's a more cohesive and consistent work, and the subtle but effective structures of the longer tracks grow and develop through repeated listenings, while rockers like "She Lives (In a Time of Her Own)" and "Levitation" pack a surprisingly visceral punch. Stacy Sutherland was never a blazing guitar hero, but his concise aural punctuations on the epochal "Slip Inside This House" and a superb cover of Dylan's "It's All Over Now, Baby Blue" are perfectly suited to the material. In addition, the rhythm section of Dan Galindo on bass and Danny Thomas on drums locks these songs into place with confidence and skill. The strange patterns of Tommy Hall's electric jug playing are as gloriously bewildering as ever, merging the music of the spheres with an alien attack, and Roky Erickson's vocals make even the most acid-damaged poesy sound passionate, graceful, and wildly alive. And Roky and the Elevators never sounded sweeter and saner than they did on the penultimate tune, "I Had to Tell You," with Roky seemingly offering a postscript to his many sad years to follow with the words "If you fear I'll lose my spirit/Like a drunkard's wasted wine/Don't you even think about it/I'm feeling fine." 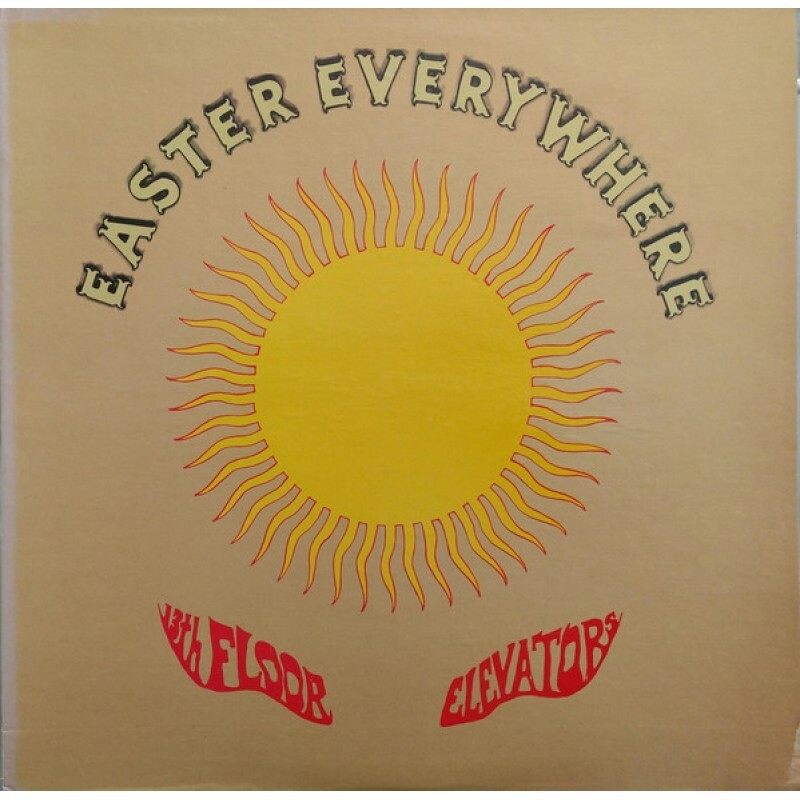 Even if less influential than The Psychedelic Sounds of the 13th Floor Elevators, Easter Everywhere is every bit as compelling and a true benchmark of early psychedelic rock -- not bad for an album produced by Kenny Rogers' brother.